You are here: Home / 3-5 / Free Valentine’s Day Book Reports. Sweet. 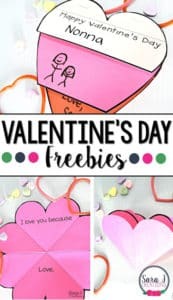 Free Valentine’s Day Book Reports to use with any book!! Valentine’s Day book reports can be a whole lot of fun and a happy change of pace. I LOVE being a little sneaky with students and convincing them to read and write book reports using themes and holiday graphics. So, how do I get students excited about writing book reports? It is soooo simple to get your students excited about writing book reports throughout the school year. I have had really great success with using many different kinds of book reports. From foldables, dioramas, to typed reports; there are so many good options to get your students really engaged in literacy. Even using thematic, holiday, or monthly clipart will spark interest with your students. Since Valentine’s Day is right around the corner, I want to share a set of FREE Valentine’s Day Book Reports with you. You will also love the fact that even though the book reports are themed for Valentine’s Day, they can be used with any type of book and on any subject of your choice. 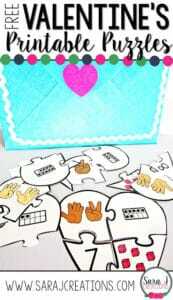 What kind of books can my students use with these Valentine’s Day book reports? 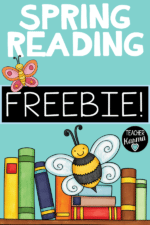 Click here to access your FREE Valentine’s Day Book Report templates. Best wishes and Happy Valentine’s Day! « Would Your Students Like a Little Color For Fun St. Valentine’s Coloring Sheet?